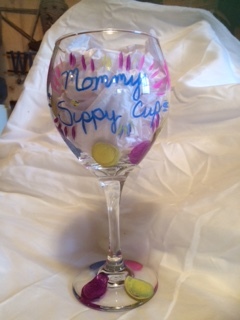 Mommy's Sippy Cup is a 16oz wine glass. 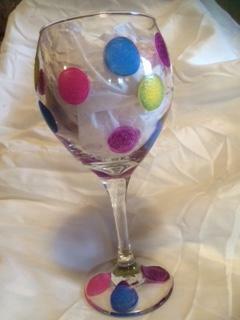 It will hold almost a bottle of wine. Its cute and whimsical. Painted with baked enamel that will last.